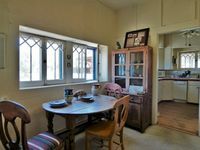 Umpire Ranch - Elgin, Santa County, AZ - Headquarters West Ltd. 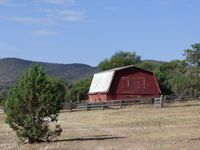 Lying along Turkey Creek, the Umpire Ranch is located in an area locally referred to as Canelo, or the Canelo Hills. Canelo is a beautiful area of southern Arizona often linked to the adjoining towns of Elgin and Sonoita. 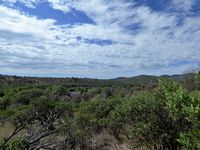 Ranging in elevation from just under 5,000’, to 5,400’+, the region is considered semi-desert grasslands. 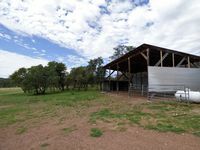 Historically run as ranchland - with cattle ranching still a major local industry - the Canelo/Sonoita/Elgin area has also developed into one of Arizona’s prime wine producing locations. The local vineyards are active and draw tourists for wine tasting tours and festivals throughout the year. The Santa Cruz County Fairgrounds is set in Sonoita and has an active calendar which includes the county fair; a PRCA rodeo; live and simulcast horse racing on the weekend of the Kentucky Derby; and other festivals, activities, and equine events throughout the year. 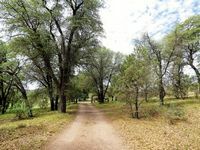 With the edge of Tucson located approximately 40 miles to the northeast of the main intersection of Highways 82 and 83, the Sonoita/Elgin area has drawn retired professionals and commuters to the community seeking the relaxed, rural lifestyle not available in the city. Tucson is the second largest city in Arizona and offers easy access to major medical services, the University of Arizona, Tucson International Airport, museums, Davis-Monthan Airbase, shopping, and a variety of entertainment and restaurant options. 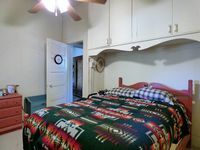 Umpire Ranch lies approximately 25 minutes from the intersection of Highways 82 and 83, and is also conveniently located for access to the West Gate of Fort Huachuca. Local residents have the ability to apply for access through Fort Huachuca to Sierra Vista, making general shopping and medical care about 30 minutes away. 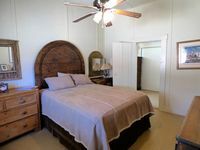 The property is also located just 14 miles from Parker Canyon Lake, a 130 acre lake offering fishing, camping, hiking, and boating opportunities. With a mild climate, the area offers year round opportunities for a variety of outdoor activities including horseback riding, hiking, bicycle riding, motorcycling, and more. The average high temperature in the area reaches the low 90’s in June, with mornings in the 60’s. The average low temperature drops to the low 30’s in January, but the afternoons warm to the 50’s and low 60’s. 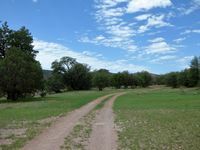 With its proximity to the Huachuca Mountains and Canelo Hills, the average rainfall at the Umpire Ranch is historically around 25 inches a year, with most of the moisture coming during the monsoon season, typically lasting from early July to mid-September. Morning clouds build to beautiful afternoon/evening storms. 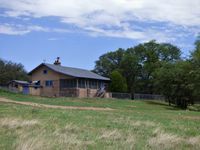 Named by the original owner, Mel Eason, a major league umpire in the early 20th century, the Umpire Ranch is comprised of a 74.21 acre parcel is set in a valley of the rolling Canelo Hills. 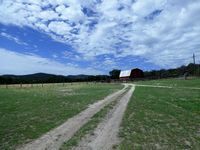 Bordered to the East and West with open Forest Service land, this property provides quiet privacy and ample opportunities for horseback riding, hiking, and watching the abundant birds and wildlife. 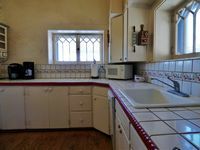 Built in 1916, the 1845 square foot, two bedroom/one bath adobe and wood ranch home could either be remodeled as a comfortable main home, or with multiple additional building sites, would make a handy guest house to live in while building your dream home. The house is serviced by power from the Sulfur Springs Valley Electrical Coop and is also plumbed for propane. A large, stone fireplace currently provides most of the heat for the home while ceiling fans and cooling breezes keep the home comfortable during the hotter months. A large screened porch offers a relaxing spot to sit and enjoy the beautiful views. 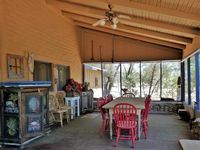 A rarity in Arizona, the home also includes an outdoor accessed basement area. 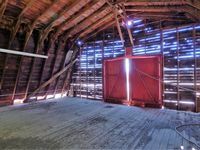 Constructed at the same time as the ranch house, the barn was the site of many community barn dances and, with a hoop installed upstairs, basketball games, making it a piece of local history. 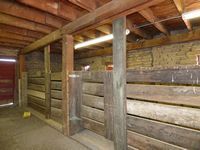 In need of some TLC, the wood and adobe barn includes four stalls, a tack room, and a large loft that matches the footprint of the ground floor. The barn is hooked up to both water and power and has a concrete floor on the lower level. The property lies along the seasonally flowing Turkey Creek with large Sycamore trees lining the banks. Black Walnuts, Oaks, and Junipers also provide shady areas around the home sites and in the grassy pastures. Local rainfall averages approximately 25 inches. Whitetail deer, wild turkeys, javelina, bobtail cats and multiple varieties of birds have been seen on the property. 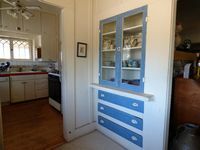 This beautiful property offers the new owner the opportunity to paint their own canvas. With multiple building sites available, the property could be developed into a family compound, B&B, equine training facility, or just be kept as a quiet, private retreat.